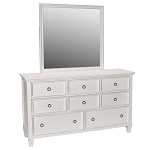 The Berkshire dresser features a modern look crown molding and has eight drawers. 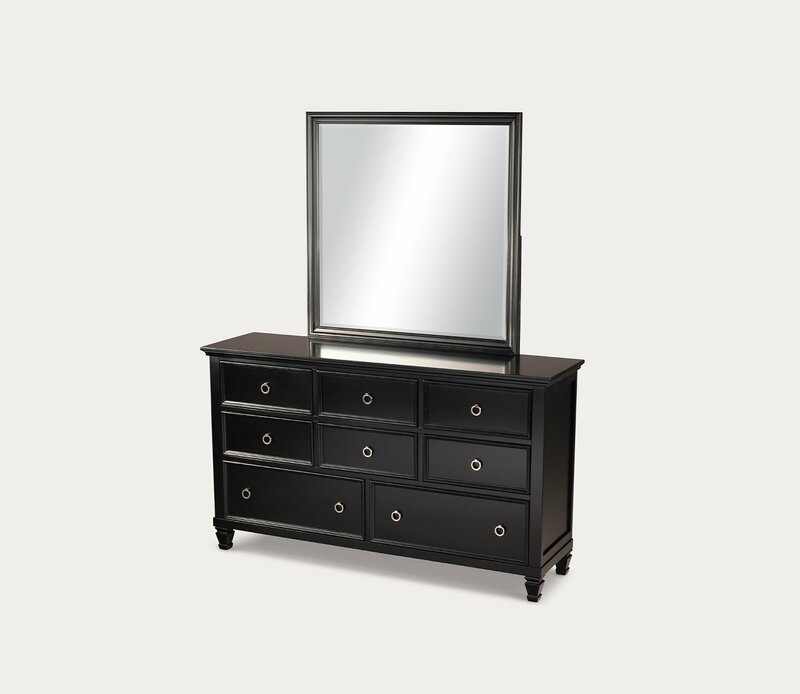 Available in black finish with chrome knobs and drawers constructed with English Dovetail. 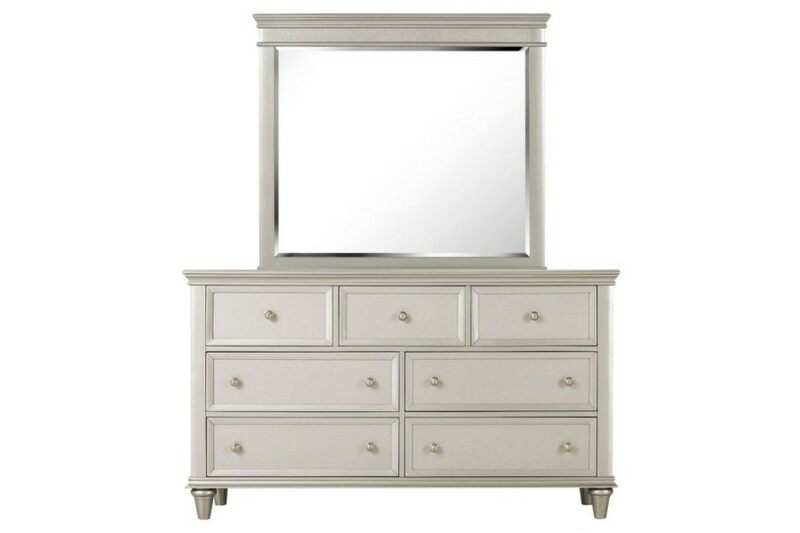 Mirror is optional.